Alsat-M is a national television station that broadcasts throughout the territory of Macedonia. Its programming is transmitted mainly in Albanian and occasionally in Macedonian, based on the European concepts of information that aim to foster multi-ethnic coexistence in Macedonia. 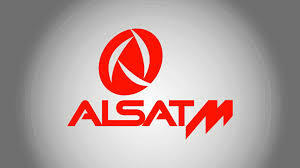 Alsat has a dynamic range of programming that covers: news, politics, economy, entertainment, music, sports, etc. .